University of Nottingham > Blogs > Making Science Public > Food Security > Why are NGOs sceptical of gene editing? This is a guest post by Richard Helliwell. It is based on the recent article Why are NGOs sceptical of genome editing? published in EMBO Reports, co-authored with Sarah Hartley (University of Exeter) Warren Pearce (University of Sheffield), and Liz O’Neill (GM Freeze). It is the first study examining NGO perspectives on genome editing. Genome editing is a rapidly emerging agricultural biotechnology gathering hype as a new tool with which to develop solutions to a number of global food security vulnerabilities and problems. Scientific advocates argue that technologies such as CRISPR are poised to revolutionise the practices, pace and reach of genetic modification technologies. With these advances have come calls that genome editing should be placed outside of existing EU regulations regarding genetically modified organisms. However, resistance to agricultural biotechnology is well documented. As with earlier debates on genetically modified (GM) crops, NGOs have become the subject of intense criticism from leading scientists who support genome editing in agriculture. The most high-profile example came in 2016, when 107 Nobel Laureates signed a letter calling on Greenpeace to desist from campaigning against all agricultural biotechnology, arguing that “[o]pposition based on emotion and dogma contradicted by data must be stopped”. The subsequent debates have aroused passions on all sides, but rarely led to greater mutual understanding. Genome editing looks set to be mired in a similarly polarised and intractable debate as the wider field of agricultural technology. 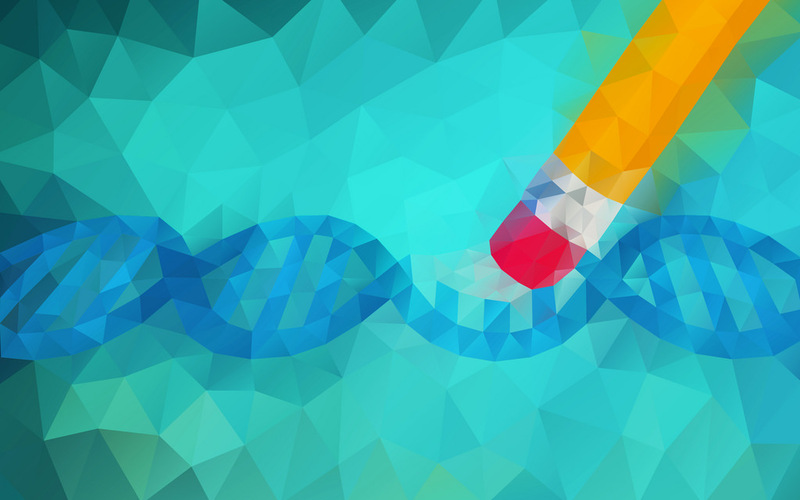 In the report ‘Why are NGOs sceptical of genome editing?’ published in EMBO reports, we examined why NGOs are so sceptical through a one-day focus group and nine interviews involving 14 participants from UK and EU-based NGOs. Our research suggests that opposition to agricultural biotechnology and genome editing cannot be dismissed as being solely emotional or dogmatic. Instead, NGO participants’ opposition to genome editing is rooted in three areas of scepticism. Food security frames the problem as a lack of food. Put simply there isn’t enough food to feed the world now and this will only get worse due to a number of emergent trajectories from climate change to population growth. It is argued that we are on the cusp or already embroiled in a food security crisis. However, NGOs contested this framing arguing the problem was one of access and control over food production. Furthermore, participants argued that the declaration of “crisis” or “emergency” aiming to frames to justify genome editing and its de-regulation was not simply a declaration of fact, but a political claim used for political means. Participants argued that such declarations were being used steer publics into accepting controversial technologies behind a façade of necessity, masking a political choice. In contrast, NGOs situated food sovereignty as an alternative problem framing that emphasised the need to increase access and democratise control of agricultural production systems. If lack of food isn’t the problem then genome editing isn’t the solution. But more than this genome editing was positioned by participants as failing to address the inherent unsustainability of monoculture-based agriculture. Instead aiming to providing managerial solutions to the problems of monocultures by modifying specific plants with insect and herbicide resistance traits. Furthermore, participants argued that genome edited plants would not address the many negative externalities produced through monoculture-based production. These externalities include biodiversity lost, displacement of local populations, land tenure disputes, environmental degradations and pollution, many of which contribute directly to food security vulnerabilities. The solution was to pursue alternative systems of agricultural production, such as agro-ecological approaches, which in the long term might be more socially, environmentally, and economically sustainable. NGO participants made repeated references to the commercial dimension of genome editing. Specifically, they argued that crops produced through genome editing will be commercial products and continue to offer ambiguous benefits to the people, places and systems that are vulnerable. Instead, genome editing was situated as providing further corporate capture of agricultural and food systems at the expense of farmers, citizens and consumers. The scientific advancement of genome editing could not be disentangled from these commercial interests. Sceptical NGOs present alternative problem and solution framings with different outcomes, as part of a broader political discussion about policy impacts within society. An age-old political question underpins all the scepticisms described above: who gets what, when and how (Lasswell, 1936). Increasing food production through agricultural biotechnology to meet imagined future demand is a political choice with political consequences for access to food, land and control over how food is produced. There is ample evidence from the social sciences that environmental controversies cannot be adequately addressed through science alone, and that political issues and the values underpinning them must be acknowledged (Sarewitz, 2004). Yet, there is a danger that this evidence is being ignored, miring genome editing in a similarly polarised and intractable debate as the wider field of agricultural biotechnology. Understanding and accommodating different positions is vital (Hartley, et al., 2016). Opportunities are needed to create a space for discussing the future of agriculture and the place for genome editing within it, if the goal is to truly assess the potential for genome-edited crops to play a role in addressing the problem of global food vulnerability. Hartley, S., Gillund, F., van Hove, L. & Wickson, F., 2016. Essential features of responsible governance of agricultural biotechnology.. PLoS Biol, 14(5), p. e1002453. Lasswell, H., 1936. Politics: Who Gets What, When, How. New York: Whittlesey House. Sarewitz, D., 2004. How science makes environmental controversies worse. Environmental Science & Policy, 7(5), p. 385–403. Support Precision Agriculture, 2016. Laureates Letter Supporting Precision Agriculture (GMOs). [Online] Available at: http://supportprecisionagriculture.org/nobel-laureate-gmo-letter_rjr.html [Accessed 23 January 2017].